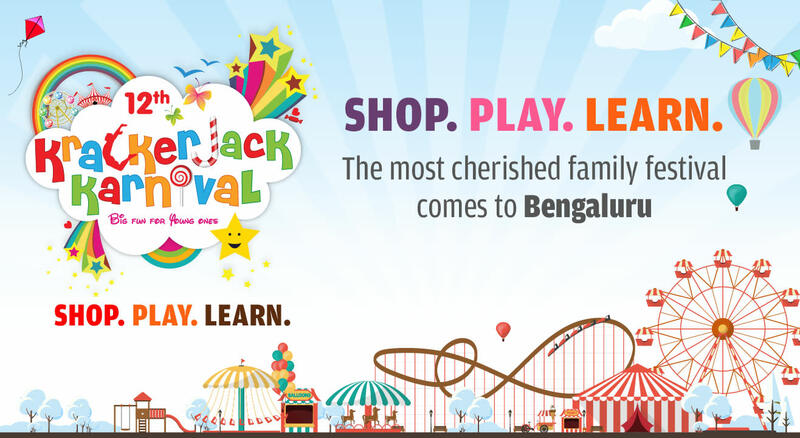 India's biggest kids and family festival, Krackerjack Karnival, is back for the 3rd time in Bengaluru, Karnataka. The third edition of Krackerjack in Bengaluru, and the 12th overall, will be held on 7th and 8th October 2017 at the Jayamahal Palace, Bengaluru. The pioneer of edutainment events in India, Krackerjack Karnival did not falter in its promise to deliver a fun, exciting and informative event that had variety of offerings for young ones and the young at heart. From more than 110 exhibitors providing the latest of products and services that encompass the entire needs and wants of families to the various stellar performances carried out on the Krackerjack stage area, the event remained a breathtaking affair all through. The presence of world renowned brands such as Disney, Nickelodeon and Superbook gave the event an unparalleled credibility. The meet-and- greet sessions with their favorite cartoon characters such as Chhota Bheem and Sonic Toon were an instant hit, as were the fun learning sessions and educative games that had entire families participating in gusto.